A crisis is looming over the American economy. It is going to be precipitated by the ever increasing amount of student loans. These loans impact the lives of students, such that they spend a better portion of their lives paying it back. In the long run, the economy will be destabilized if this spate of student loans keep increasing. How has it all gotten so bad? In 2017, the Wall Street Journal detailed that nearly 5 million borrowers had defaulted on their student loans, this is a worrisome statistic. 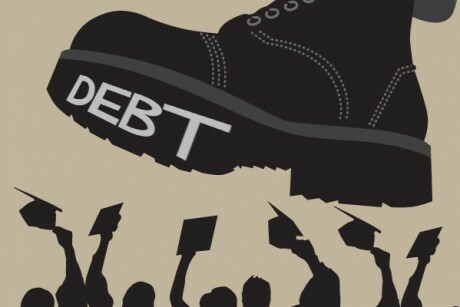 The general consensus is that government policy is to blame for this upsurge of student loans. It is believed that because student loans are readily available and easily obtainable, the spate of borrowing has increased accordingly. This then has inevitably led to a constant increase in college tuition fees. The onus falls on congress to find a way out of this corner the economy is being boxed into. Congress has brought forth the Prosper Act to counter this problem. The Prosper Act aims to reduce the strain of student loans by lowering tuition and also perhaps more importantly putting in place legislation that will require students be offered viable programs- that ensure employment opportunities-, through which they can easily offset the loans. One institution that is however bucking the trend of costly tuition fees is Thomas Academy(www.thomasacademy.org). Thomas Academy has the lowest tuition cost in the United States. What drives them is the zeal to CREATING OPPORTUNITY NOT DEBT. It is an academy that focuses on helping high school graduates with a passion and flair for basketball harness and enhance their skills. With a tuition of just $5,500 per season which include exceptional education and housing facilities ensconced in the safest town in the state of New York, you would be hard pressed to find another institution with such tuition fees and guaranteed quality!